There’s a reason why Kenya is one of the world’s most popular tourist destinations. 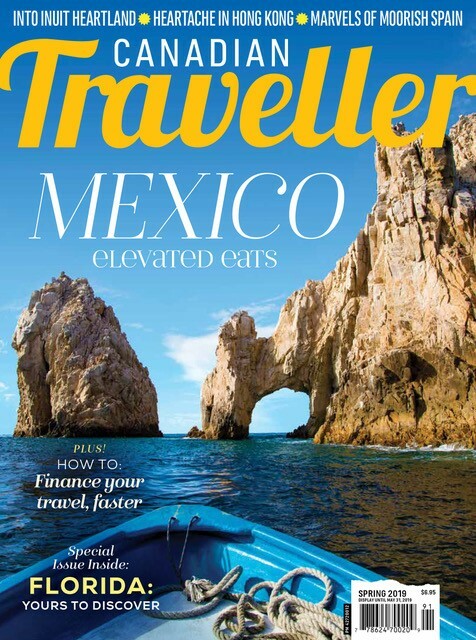 It’s all about the incredible diversity of attractions packed within the borders of a single country. From beaches to mountains, savannah to forest, desert to snow capped mountains – in terms of landscapes, wildlife, people, culture and things to see and do – Kenya has it all. Nairobi is one of Africa’s most vibrant and exciting cities, an urban destination like no other. 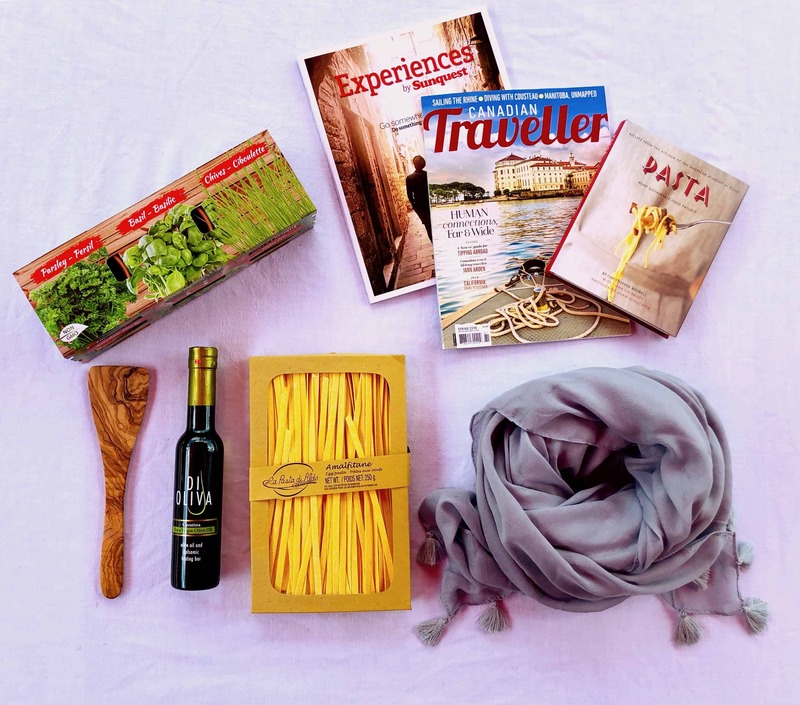 With excellent international cuisine from all corners of the globe and nightlife powered by some of the continent’s fastest rising music talent, Nairobi is a great place for entertainment. But behind the bright lights there is plenty of history, culture, sport and a fascinating art scene waiting to be discovered. Let’s not forget the capital’s real claim to fame: just 10 minutes from the city centre you’ll find rhino, lion, buffalo all living wild and free in the world’s only urban national park. Above all other Kenyan attractions is the mighty peak of Mt. Kenya, capped with the world’s rarest commodity: equatorial ice. Mt. Kenya is a challenge for climbers, trekkers and hikers, but its forests are also perfect for trout fishing, horse riding and cycling. The forests of Mt. Kenya and the Aberdares are a national treasure, home to endangered wildlife, several waterfalls, and in the historic Mau Mau caves (used by the Kenyan Freedom fighters who fought the British Colonial regime), a legacy of Kenyan spirit. You may have heard that the annual migration of more than a million wildebeest from the Serengeti into Masai Mara is considered the world’s greatest wildlife spectacle. But have you ever experienced it? 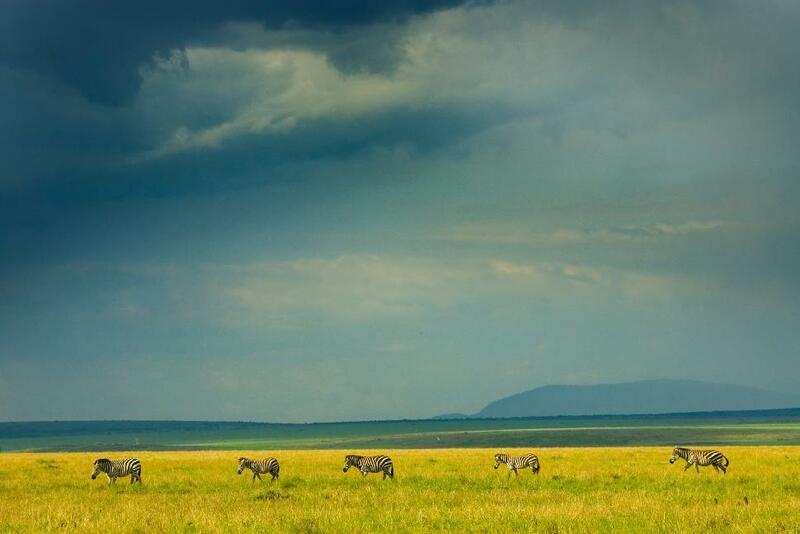 It’s a breathtaking sight, and a natural phenomenon that is the heart of the Mara eco-system. A safari here is the ultimate biology lesson, with one of Africa’s highest and most diverse concentrations of wildlife. Equally diverse is the range of accommodation and safari options here, from game drives to hot air balloons. To the east lie the salt plains of Magadi, the archaeological treasures of Olorgasailie and Amboseli, where huge herds of elephants are dwarfed by the shadow of Mt. Kilimanjaro. The Great Rift Valley is one of the natural wonders of the world, and Kenya lies at its centre. 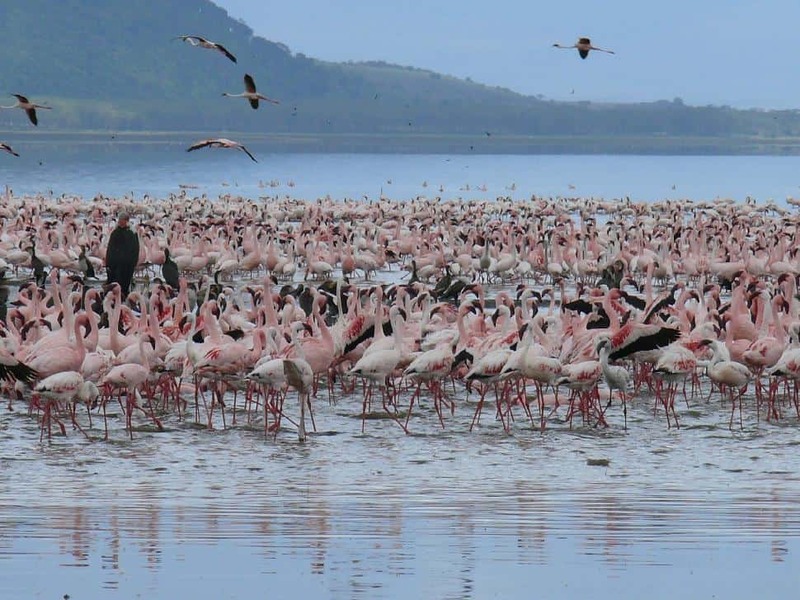 The freshwater and soda lakes of the Rift each offer fantastic birdlife and scenery, including the world’s largest population of flamingos that migrate throughout the Rift. Nakuru and Naivasha are both ideal for relaxing on the lakeshore, while active travellers can explore the dormant volcanoes of Longonot, Suswa and Menengai, or cycle through herds of zebra beneath the cliffs of Hell’s Gate. The hills and valleys of the North Rift are a world of contrasts, from the hot springs and wildlife of Bogoria and Baringo up to the cool highlands of Kabarnet and Kitale. Explore some of Kenya’s unknown treasures at the Kipsaraman Museum, hike the beautiful Cherangani hills or discover Mt. Elgon, where elephants and buffalos spend each night in caves deep inside the mountain. See Kenyan history firsthand at the Kenyatta (Kenya’s first President) cells in Kapenguria, and experience some of our most interesting modern cultures, from Njemps to Nandi, from Pokot to Tugen. If you are looking for a really physical break, sign up at one of the new High Altitude Training camps and run with the champions, including Moses Tanui and Kip Choge Keino. Western Kenya is a little known world of wonders. Here you’ll find lush green highlands, tropical rainforests, and the great expanse of Lake Victoria. If you are a keen angler, you’ll be able to try your luck with the mighty Nile Perch, but you’ll also find a wealth of cultural and historical attractions here. The massive sacred stones of Kit Mikaye and Maragoli have great meaning for the Luo and Luhyah communities, while a more recent monument to history can be found at Tom Mboya’s mausoleum on Rusinga Island. One of Kenya’s most exciting cultural events can be experienced at Kakamega, where the traditional bullfights create an unforgettable spectacle. For a more serene experience, a hike through the world famous Kakamega forest shows nature at its most pure and peaceful. The highlands of Kericho have beautiful tea plantations, quiet hill retreats, and beautiful traditional stone carvings at the Tabaka quarries in Kisii. Kenya’s wild arid North is perfect for those looking to really get away from it all. From the baking desert plains to the wild shores of Lake Turkana, this is real adventure country. Take a front row seat at Kenya’s wildest race, the Maralal Camel Derby; or visit the beautiful Samburu and Shaba National Reserves, home to many rare northern species. In the beautiful Laikipia Plateau and the Matthews Ranges, you’ll find stunning lodges and camps owned and run by local communities that offer the last word in luxury in the wild – and a great opportunity to get to know some of Kenya’s least known cultures. Northeastern Kenya is home to one of Kenya’s newest attractions, Meru National Park, which has been reborn through a concerted conservation effort. This park is isolated, wild and undisturbed, heaven for a wildlife enthusiast. Further east, the little explored Bisandani and Rahole reserves await exploration by the intrepid. Eastern Kenya is well known by anyone who has ever driven from Nairobi to the coast. But why not try exploring away from the main road? This beautiful area is the vast twin Tsavo National Parks – a wilderness the size of Jamaica. 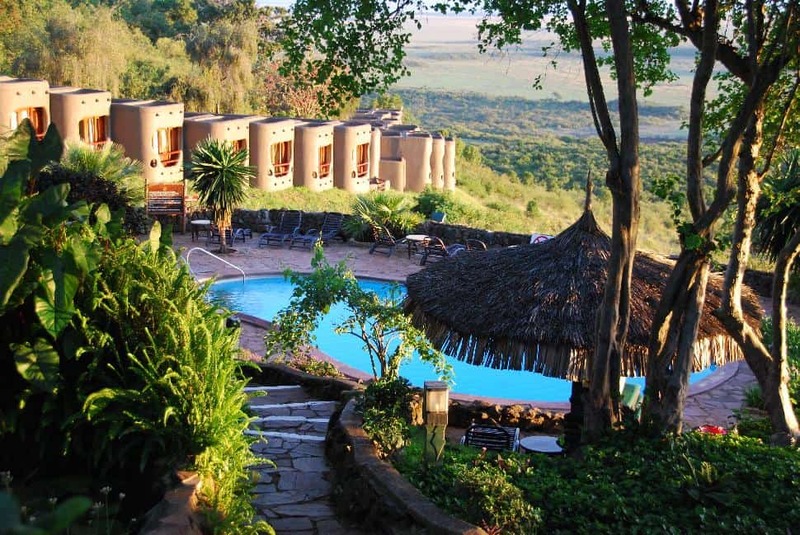 Among all that space you’ll find a range of accommodation options to suit everyone, making this ideal for a safari stopover en route to the coast or the city. If you’re looking to go further afield, head for the hills. Both the Chyulu and Taita Hills are high green, and offer stunning views of Kilimanjaro. Along the way, Ukambani is an excellent place to shop for Kenya’s finest woodcarving. 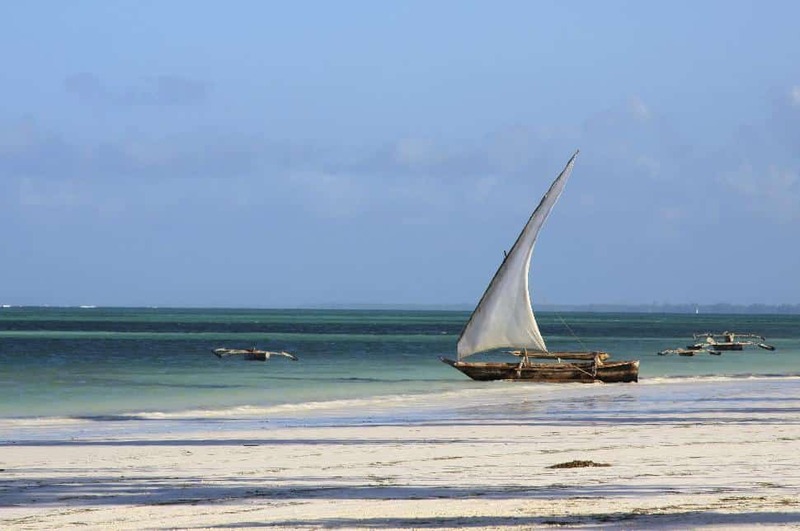 Kenya’s beaches are among the world’s best, with warm, clear water, soft sand and a constant refreshing sea breeze. The calm coastal waters are ideal for water sports, sailing, jet-skiing, windsurfing and kite surfing. The key to these calm waters is the fringe of coral reefs that protect the shore. These reefs are home to a remarkable profusion of undersea life, which can be seen from a glass bottom boat, or up close by snorkellers and scuba divers. But when you come to the coast, step back from the beach and discover all that the coast has to offer. This is the home of Swahili culture, and the monuments at Fort Jesus, Malindi and Gedi stand testament to some of the country’s richest cultural heritage. Lamu is a place unlike any other – a small island where history lives and breathes in the narrow streets of the stone town. There are coastal forests such as Arabuko Sokoke and Jadini, and wildlife reserves, from Dodori in the north to Shimba and Mwalanganji in the south. Mombasa is one of the most active and exotic ports on the African coast, with nightlife to match. The coast experience is about more than just beaches.